Installing a kitchen range hood is crucial for ventilating the air in an enclosed kitchen. Range hood height should also be taken into consideration in the design of the kitchen. First of all, it’s important to make sure the range hood is going to fit in the space. Secondly, the range hood will provide the best ventilation possible if it is installed properly and at the correct height above the range. “Range hood height” describes the distance between the range (the cooking surface) and the bottom of the range hood. The best way to determine range hood height is to check the manual that comes with the range hood. The manual should include instructions for installation of the range hood as well as the specifications of the range hood. The distance between the range hood and the cooking surface may also differ depending on what type of range hood. Generally, the average range hood height is 26 inches to 36 inches above the cooking surface. Wall mount range hoods are commonly installed 30 inches away from the range, while under cabinet range hoods are installed between 21 inches and 27 inches away from the range. Again, always check the manual for your specific range hood for the exact mounting height you need to install it at or have it installed at. There are cases in which a homeowner may want to install the range hood farther away from the cooking surface than is recommended. This may be because the homeowner is a tall person and wants to be more comfortable while cooking. You wouldn’t want your head hitting the range hood, would you? To overcome this, a more powerful range hood can be installed. A higher CFM (cubic feet per minute) rating will help compensate for the greater distance between the range hood and the range. (Remember, CFM describes the power of the range hood and how much air it can move per minute.) The distance has to be compensated for in some way to ensure the ventilation is still the same quality. Kitchen range hoods ventilate the kitchen air of grease, smoke, odors, smells, carbon monoxide and nitrogen dioxide. Without the range hood, grease would build up on the range, the cabinets and the surrounding kitchen décor. Smoke could set off the smoke detector, and odors can make the kitchen an unpleasant place to spend your time. Turning on the kitchen range hood will help diminish these problems. Not to mention, proper ventilation will also making breathing in the kitchen easier! Call Range Hoods Inc at 800-914-9775 for assistance or if you have more questions about range hood height and available range hood models. This entry was posted in Cooking with Range Hoods, Home Improvement, Indoor Air Pollution, Kitchen Design, Kitchen Tips, Range Hoods, Under Cabinet Range Hoods, Wall Mount Range Hoods and tagged hood height above range, island range hood, range hood, range hood height, range hoods inc, under cabinet range hood, wall mount range hood on March 26, 2015 by editor. You may be thinking, what in the world is feng shui in the kitchen? Feng shui is a philosophy originating in China, which dictates the orientation of rooms and objects in the home. This orientation affects the flow of energy. Feng shui aims to balance this energy, known as qi (“chi”), and to bring wealth, happiness and health into a family. There are a few basic principles that should help you improve the feng shui in your kitchen. (For additional design inspiration, check out our blog post Dwell on Design 2014 in Los Angeles.) In feng shui, the kitchen is a critical space. We spend a lot of time in the kitchen in our everyday lives and the food we eat is prepared in the kitchen. The kitchen should not be placed in the middle of the house. Believers in feng shui sometimes renovate their home so the kitchen can be moved into a room away from the middle of the home or away from doors leading to the outside of the house. A balance has to be arrived at for energy to successfully flow through the kitchen. If you install a kitchen island with a cooking surface on top of it, be sure to also install a kitchen range hood above the island. The kitchen range hood is crucial for ventilating air pollution created during cooking. Remember, an important aspect of feng shui is keeping the air in the room clean. Open windows every once in a while to air out the kitchen and place plants out of the way on counter tops for additional oxygen. Next, make sure your kitchen is clean. Clutter will not help feng shui. Organize your kitchen and get rid of whatever you never use. Install some extra storage if necessary to make this happen. Also, make sure your kitchen has plenty of lighting. 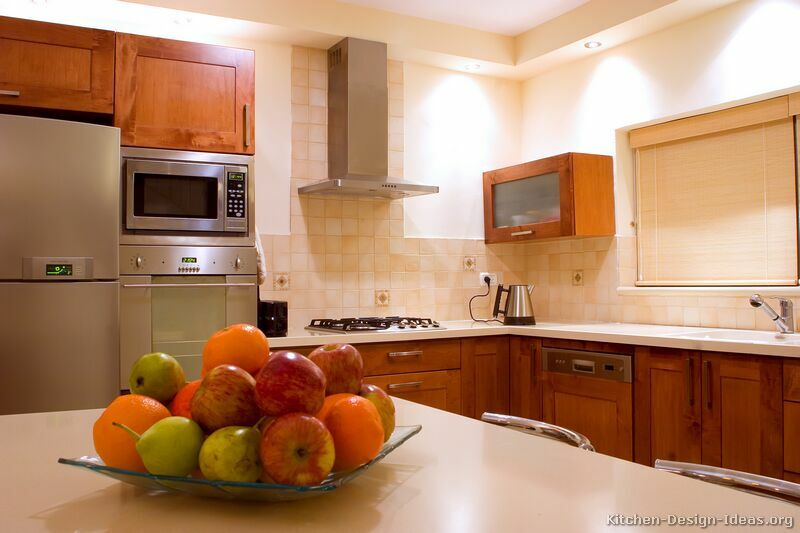 Install new lighting fixtures if you have been cooking in a dark kitchen. Your island range hood may also come with built-in lighting. While decorating your kitchen, include some bright colors. Colors like gold and yellow work well for kitchen feng shui. Meanwhile, beware of over using the color black. Place art, colorful plants and bright accessories in the kitchen. Lastly, make sure there’s no negative energy getting near your food before you eat it. Also, it’s advised not to watch television while eating. Good luck, and we wish you the best in applying the principles of feng shui to kitchen design. This entry was posted in Island Range Hoods, Kitchen Design, Range Hoods and tagged China, color, cooking, Energy, Feng Shui, interior design, island range hood, kitchen, los angeles, range hood on July 7, 2014 by editor. The range hood is an essential element to any kitchen. The range hood functions to remove harmful and undesirable particles from the air to reduce indoor air pollution. One component that allows a range hood to function properly is the use of filters that trap grease and moisture from the air. For proper kitchen ventilation to take place, the filters need to be there to trap grease and keep it from landing on your kitchen décor, including your range and your cabinets. Every type of range hood uses some type of filter. Range hoods with duct work use aluminum or baffle filters, while ductless range hoods use charcoal filters. Baffle filters sold on RangeHoodsInc.com are constructed with stainless steel, are durable and are easy to clean. Baffle filters are easily cleaned by removing them from the range hood, running them through the dishwasher and allowing them to dry before placing them back in the range hood. They should be cleaned frequently just like any other appliance in the kitchen area. It is recommended that you clean your baffle filters at least once a month, especially if you do a lot of cooking in your kitchen. Baffle filters are used in different sizes of wall mount range hoods, island range hoods, under cabinet range hoods, professional series range hoods and insert liner range hoods. They create a more professional look and the buildup of grease is not as noticeable as with aluminum filters. Aluminum filters contain multiple layers of mesh that trap grease. Aluminum filters are also cleaned by running them through a dishwasher. Baffle filters, on the other hand, redirect grease and moisture to a grease trap. Grease will also be collected in the grease pan in the back of the range hood. Baffle filters are not used in ductless range hoods; ductless range hoods use charcoal filters. Charcoal filters have to be replaced periodically and cannot be reused after cleaning like baffle filters and aluminum filters. Ductless range hoods do not ventilate air outside of the home; they re-circulate filtered air back into your kitchen. Whether or not you can install duct work in your kitchen may depend upon budget, construction of the building you live in and where your cooking surface is placed in the kitchen. Many apartment homes require ductless range hoods with charcoal filters. Range hoods are critical in keeping the kitchen air clean from grease, smoke, odors and dangerous gases, including nitrogen dioxide and carbon monoxide. The range hood filters the air so you don’t have to breathe these particles. Additionally, the range hood keeps the kitchen cleaner by removing grease from the air that will build up on the kitchen equipment. You don’t want to sacrifice quality in your range hood. You can browse range hoods on RangeHoodsInc.com to find the model that best fits your cooking needs. If you cook frequently, you may want a more powerful range hood. The range hood should always cover the entire cooking surface and the filters should be cleaned or replaced periodically. This entry was posted in Filters for Range Hoods and tagged baffle filter, insert liner range hood, island range hood, range hood, under cabinet range hood, wall mount range hood on February 4, 2014 by editor. What is an Outdoor Range Hood? Outdoor range hoods have most of the same features as indoor range hoods for the kitchen (such as sones, CFM, filters, etc. ), but outdoor range hoods are used outside over outdoor kitchen stove tops, inside outdoor kitchens and/or above outdoor barbeques. Outdoor kitchen range hoods are also known as barbeque range hoods, or BBQ range hoods. Outdoor range hoods have a lot of similarities with indoor range hoods. First of all, most of the same features are still available and perform the same functions. Both types of range hoods require ductwork to ventilate air, otherwise a ductless option needs to be installed. Both require the use of range hood filters and both provide stove top lighting with light bulbs. Also, both types work at different noise levels, which are measured in sones, and both come in wall mount styles or island mount styles. Outdoor range hoods are typically installed about three feet above the barbeque or outdoor cooking surface. They range in size from 30 inches to 60 inches, but custom outdoor range hoods may be bigger, depending upon the needs of the outdoor cooking space. Indoor range hoods are typically installed 28 inches to 30 inches above the cooking surface and are as wide as the range with three extra inches on each side. Outdoor range hoods typically have capabilities of at least 900 to 1000 CFM and higher. This also means that the range hood will be louder because it is working harder. This is similar to professional range hoods, which also work at higher CFMs for cooks who cook more often. RangeHoodsInc.com offers a series of professional range hoods for cooks who require higher CFM and prefer the professional and modern look of baffle filters. Outdoor range hoods are great for ventilating air in outdoor cooking spaces, such as over barbeques or inside of porches and/or patios where people cook food. They also become a focal point in the cooking space, just like range hoods become a focal point for kitchen design inside of the home. They also make entertaining outdoors even safer by keeping the air that you are breathing cleaner. Mounting the range hood outside also means that it has to be able to withstand different types of weather. Outdoor range hoods are usually made to be durable in different weather conditions. Indoor range hoods do not have to be as durable because they are not exposed to the elements. You can browse indoor range hoods for your kitchen on RangeHoodsInc.com. We carry island range hoods, wall mount range hoods, professional series range hoods, under cabinet range hoods, insert liner range hoods and more. This entry was posted in Range Hoods and tagged indoor range hood, island range hood, outdoor range hood, wall mount range hood on February 3, 2014 by editor.